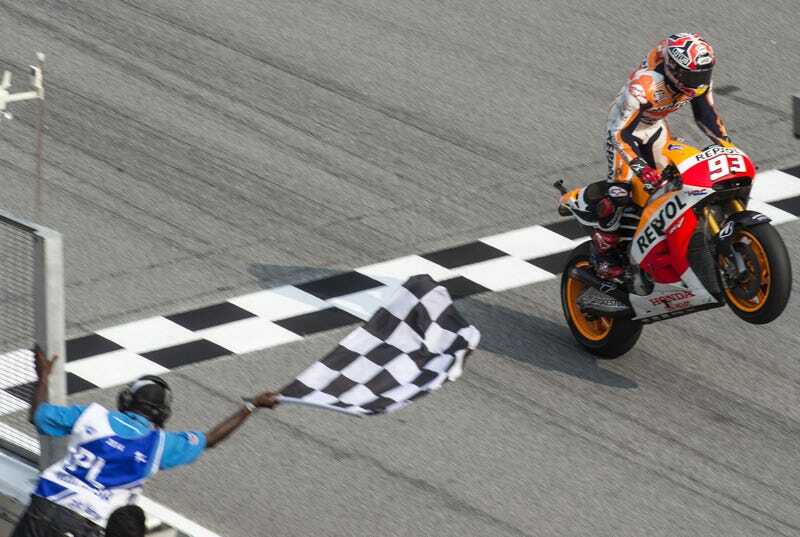 MotoGP’s Marc Marquez will be much easier to keep up with...for those of us at home. Getty Images photo. Watching motorcycle racing on television has never been easy, but the road racing governing bodies and the beIN Sports Network has just reached a deal to make that a whole lot easier for 2016. MotoGP’s managers at Dorna announced this morning that the sport will be joining the MOTUL FIM World Superbike Championship and MotoAmerica racing series on the channels beIN Sports, beIN Sports en Español, and beIN Sports Connect in the U.S. and Canada. While Dorna’s press release claims this will give North Americans “unrivaled access to every lap,” beIN’s coverage certainly won’t rival that of getting the Videopass from MotoGP.com. That said, if you don’t want to spend an extra $150 to watch racing this year, beIN’s involvement is great news. WSBK’s Tom Sykes. Getty Images photo. Speaking of WSBK, it starts this week! Jonathan Rea will try and defend his title against team mate Tom Sykes, Ducati’s Chaz Davies, and former GP racer Nicky Hayden beginning this week at Phillip Island in Australia. WSBK is moving to a two-day format, with the two main races ending each day’s events. This week, that puts the main race at 8 p.m. PST/11 p.m. EST on both Saturday and Sunday nights. WSBK does a great job with their calendar section of the site, and you can click on each event to see the different race times in both local and your home times. If anyone needs me this Saturday, I’ll be not crashing a motorcycle, watching Supercross, and then watching WSBK.